An extensive international search to find a replacement for Anthony Paterson’s famous Mumm 30 Tow Truck has been completed with the discovery of this Jason Ker-designed 11.3m racing yacht on the island of Jersey. 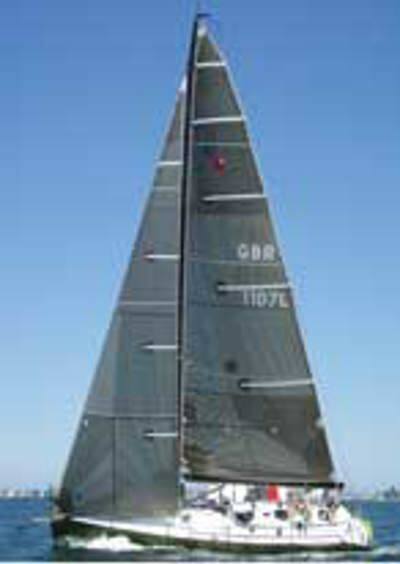 The Ker 11.3 is a semi popular one-design class from the design board of successful Spanish-based British designer Jason Ker. The ‘new’ Tow Truck was shipped in a car transport ship from Southampton and the crew have spent many hours putting the boat together on Lake Macquarie. The Tow Truck team has not really sailed together since the old boat was sold two years ago, but the boys are champing at the bit to hoist the sails and go south.